1 Why do we sweat? Just like we have to breathe or open our bowels, sweating is a normal and necessary bodily function that we shouldn’t be embarrassed about. We need to sweat to regulate our body temperature, and when our body temperature rises our nervous system stimulates our sweat glands to release sweat, which in turn cools us down (like our very own sprinkler system!). 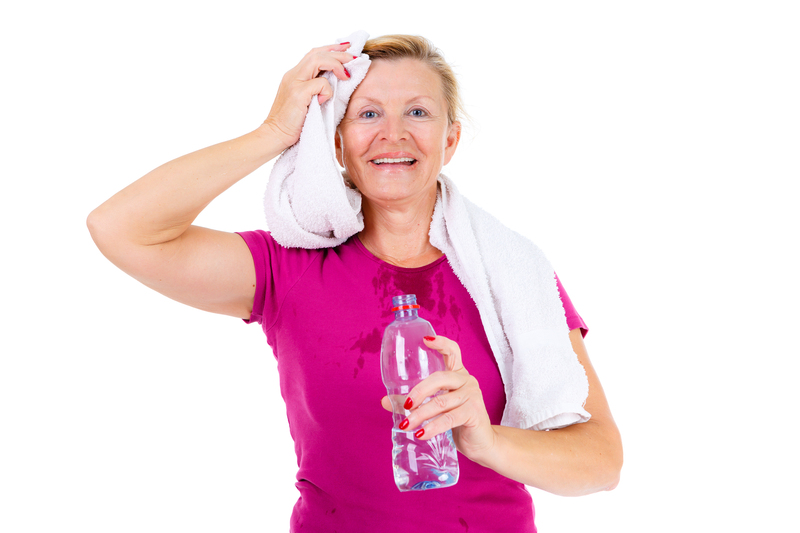 Sweat is primarily a mixture of water, salt and other chemicals. Whenever you mention sweat it’s almost inevitably associated with the word smell. Interestingly, sweat doesn’t actually smell, but combine it with the bacteria that live on your skin and it can start to stink! 3 How much do we “normally” sweat? The average person will lose between half to a litre of water per day roughly in sweat. An athlete may lose this amount in a hour, but is exercising strenuously, so there is a broad range depending on your daily activities. It is estimated between 1-5% of the population sweat excessively – a condition known as Hyperhydrosis. There are two types of sweating, what we call thermoregulatory sweating, that’s the type you do to cool yourself down on a hot day or after a work-out. Then there’s emotional sweating, this occurs in response to anxiety, fear and emotion. We all differ in both the amount and the manner in which we sweat. People with Hyperhydrosis tend to sweat a lot in response to normal triggers, but can also sweat for no apparent reason. This type of problem can run in families. It is often said that men sweat and women glow. Men typically tend to sweat a bit more than women and the cause of this is thought to be hormonal. Certain conditions can make you sweat more, for instance an over active thyroid gland, low blood sugar, infections or even some prescription medications. Pregnant women and those in the menopause also tend to sweat more. The bottom line is that we all sweat and there is huge variation in the environment which makes us sweat as well as the amount produced and the impact that has. 4 What should you be looking for in products to manage sweating? We have to accept we all sweat and camouflaging sweat on the skin or on the clothes after it has dried simply doesn’t work. We must be proactive about perspiration. Many people naively opt for a deodorant not realising that whilst it may help prevent the smell, it’s the sweat that is the cause of the problem. This is why an anti-perspirant deodorant is an essential is every wash bag. Life is busy, our days are long and we are always on the go, so long lasting protection is essential. People with sensitive skin often find they get irritated by products so a gentle formulation is essential. 5 What is the difference between anti-perspirants and deodorants and which one should I use? Deodorants literally do what they say on the tin – they get rid of odours. 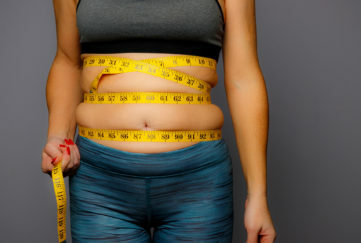 The key thing in terms of body confidence is to stop the sweat and to do this you need to use an anti-perspirant – this stops you perspiring, which means you are covered both in terms of both sweat and smell. 6 Is it possible to sweat more in autumn/winter conditions and if so why? In winter and autumn we tend to layer up so we can sweat quite profusely. There are fewer options for sleeveless, airy outfits and we spend most of our time indoors, meaning that the air doesn’t circulate as much around your intimate areas. 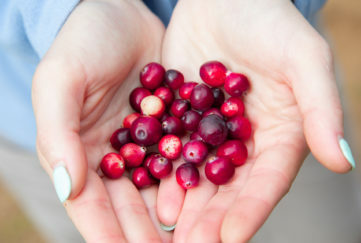 This can be troublesome for both sweating and your intimate health. 7 How can we prevent sweating in our favourite clothes? That little black party dress, for example. Using an anti-perspirant deodorant as a preventative is essential when you’re wearing your favourite clothes. If we don’t wear a hardworking anti-perspirant, the sweat ends up drying in to our favourite clothes and can make them start to smell. Always try to use a preparation that doesn’t leave white marks and if sweat has dried into skin or clothing it must be washed quickly to remove. We all think we know how to use an antiperspirant, but even the most savvy would benefit from reading the instructions on how to apply, especially if it’s a new product. 8 How can we keep dry/manage sweat when exercising? It is important to use an anti-perspirant deodorant and put it on well before you exercise. 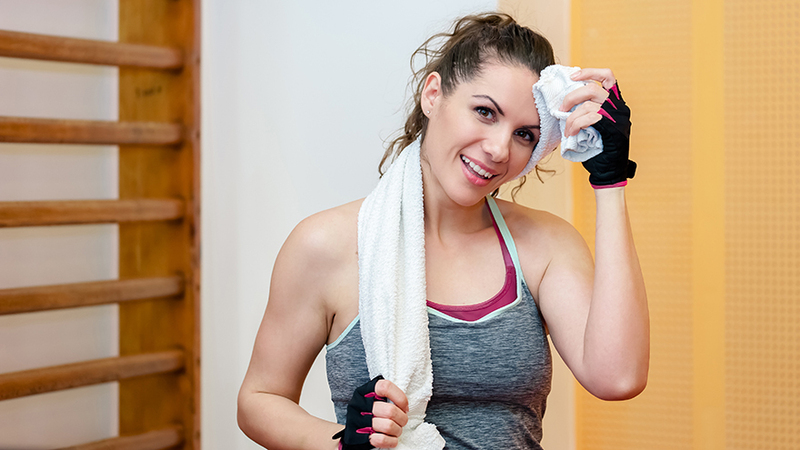 Keep a towel close by and wipe the sweat off if you start to sweat profusely. Sweat only starts to smell when it dries in so mopping it up will minimise the odour. 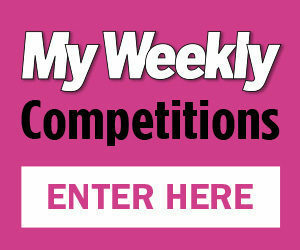 9 What are your recommendations for coping with symptoms of the menopause such as hot flushes? Menopause flushes can be horrid and can linger for many years. Whilst an antiperspirant won’t get to the root cause it can give you confidence that at least some of your sweating will be minimised. Whilst menopause seems like a rite of passage into the next phase of life there are things that can be done to make that journey easier. 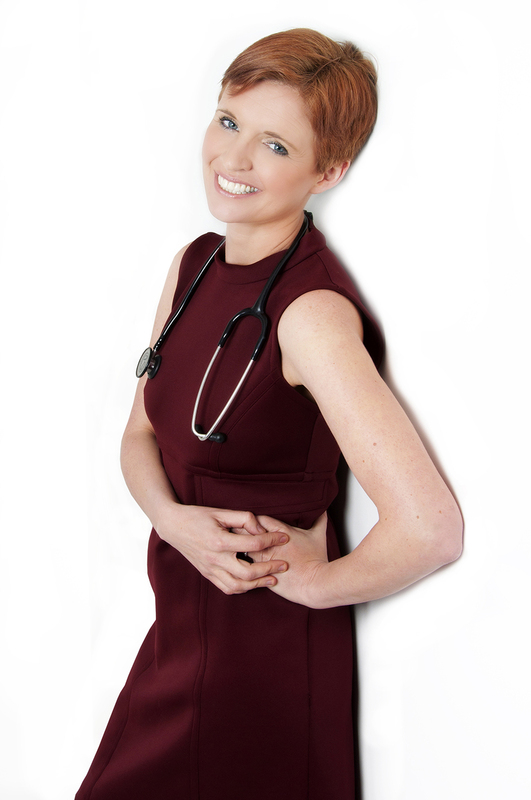 I would encourage all women to speak to their GP about the subject, you don’t have to suffer in silence. 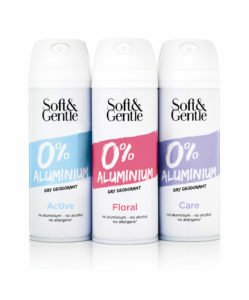 Scientifically developed with natural plant extracts, the unique formulation of the 0% Aluminium Dry Deodorant provides effective odour protection whilst allowing your skin the freedom to breathe – perfect for your fitness regime. Free from aluminium, alcohol and parabens, the revolutionary range has been tested on even the most sensitive skin, to provide a skin kind formula. The aluminium chlorohydrate free range uses pioneering technology and natural plant extracts, including sage, which helps soften the skin and act as a deodoriser to neutralise any potential body odour.